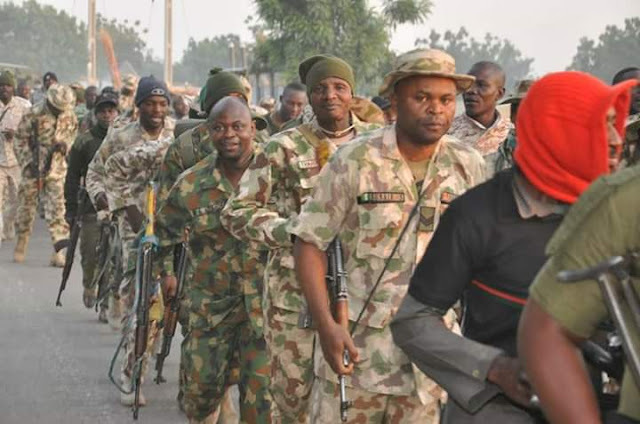 The Nigeria Army holds show of force in Borno state. Rexcharles blog was informed about the programme which happened on Saturday 17 November 2018. 1. 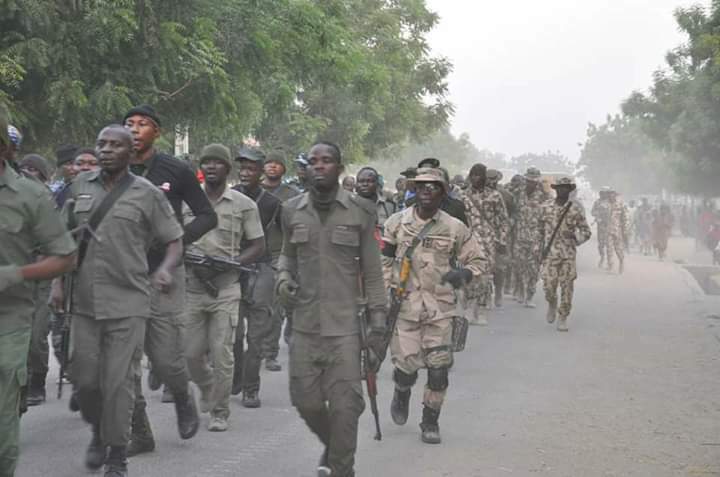 Troops of 22 Brigade deployed in operation LAFIA DOLE, on Saturday 17 November 2018 in conjunction with other security agencies conducted a show of force within Dikwa emirate in Borno State to reiterate their commitment in protection of lives and property as well as build confidence in the people. 2. The exercise is to further showcase the Nigerian Army determination and combat readiness in the ongoing fight against Boko Haram Terrorists (BHTs) and other crimes in the State. 3. 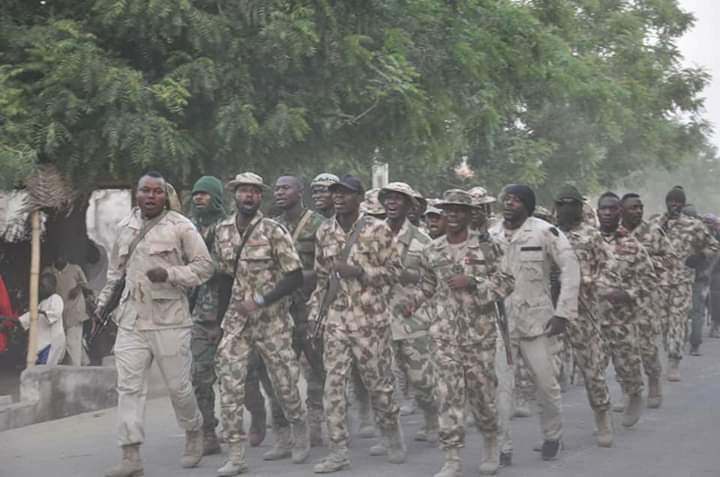 Addressing the troops at the end of the exercise, the Commander 22 Brigade Brigadier General John Ochai commended them for their combat readiness and endurance, urging them to keep fit at all times. 4. He charged the troops to always remain alert while carrying out all assigned tasks. 5. Those that participated in the exercise include, personnel of the Nigeria Police, Nigerian Immigration service, Cstoms, Nigerian Security and Civil Defence Corps, humanitarian workers as well as members of the Civilian Joint Task Force. 6. You are please requested to disseminate this information through your medium to the general public. 7. Thank you for your kind cooperation.